Izabella! What a BEAUTIFUL art doll!! I just LOVE what you did with her! I own 3 of JoAnnA's dolls, and you have done her proud! You have made a wonderfully elegant creation displaying your own wonderful talent and expertise. I'm keeping my eye on this one!! Absolutely STUNNING! BRAVO!! 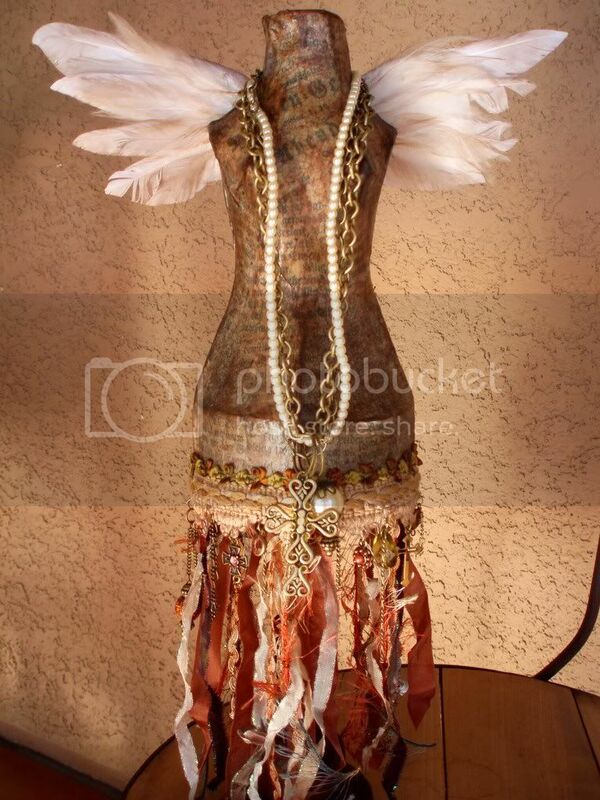 I love it!...the paper, the pearls, everything looks so decadent!